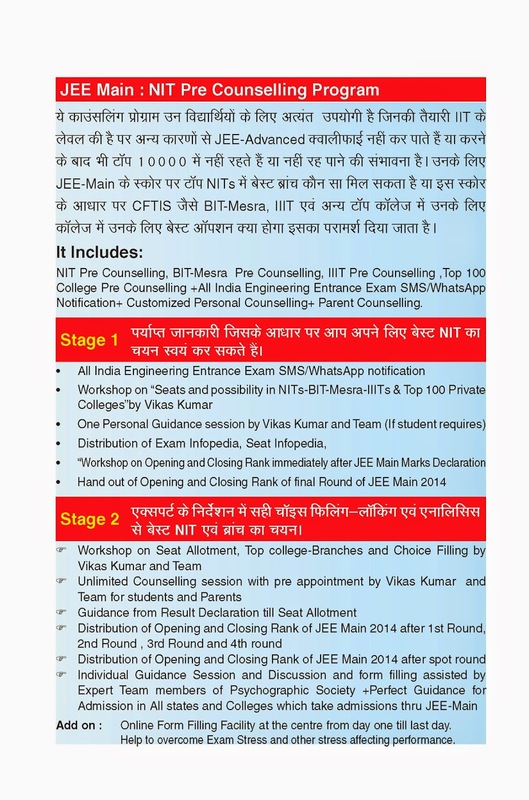 All top students can register for JEE-Main :NIT Pre Counselling Program conducted by Vikas Kumar for Psychographic Society, Ranchi and get rank based guidance. Do not Take chances...Right Information at right time leads to Right Decision. Also available: IIT Pre Counselling, BITSAT Pre Counselling, SRM-VIT-Manipal Pre Counselling Program and Rank Counselling Programs.